Lets come to the recipe. 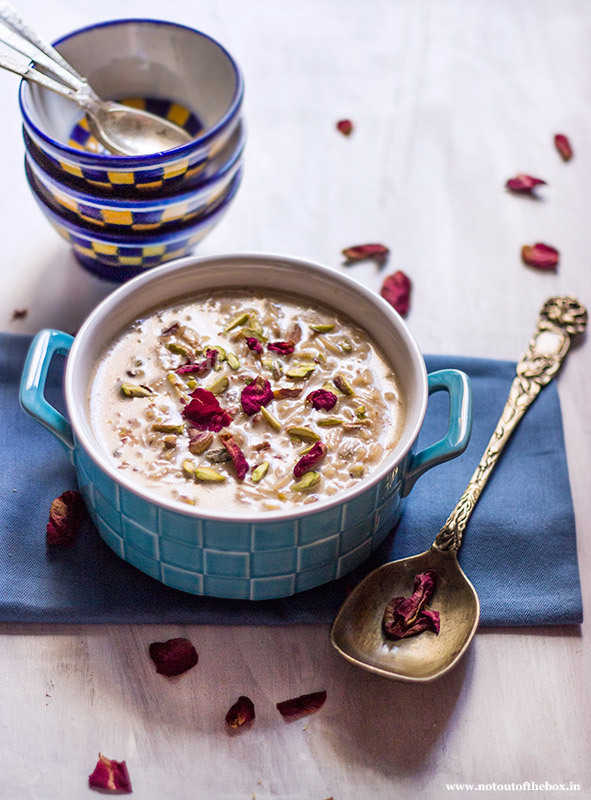 ‘Sheer Khurma’ is a rich vermicelli pudding prepared in the auspicious month of Ramadan. 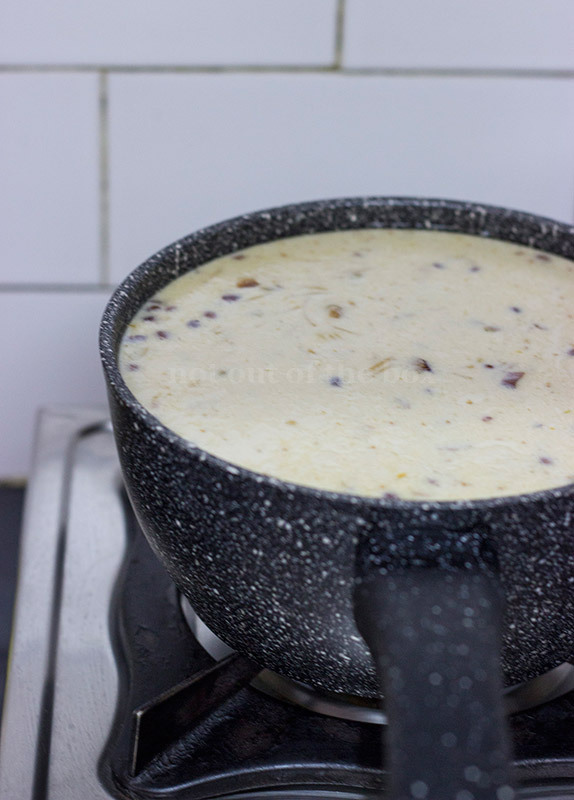 There are many versions of Sheer Khurma vary little bit from home to home. I’ve learnt this from my maternal Aunt who got married to a Muslim. The main ingredients of this dessert are milk, sugar, vermicelli and dates. Different dry fruits enhance the taste of this pudding. It’s a very easy to prepare dish and can be made ahead if you’re planning for an Iftar party. Soak the dates in ½ cup of milk. Keep aside. This step is optional and not required if you’re using soft dates. I’ve used dry dates, that’s why soaked them in milk. 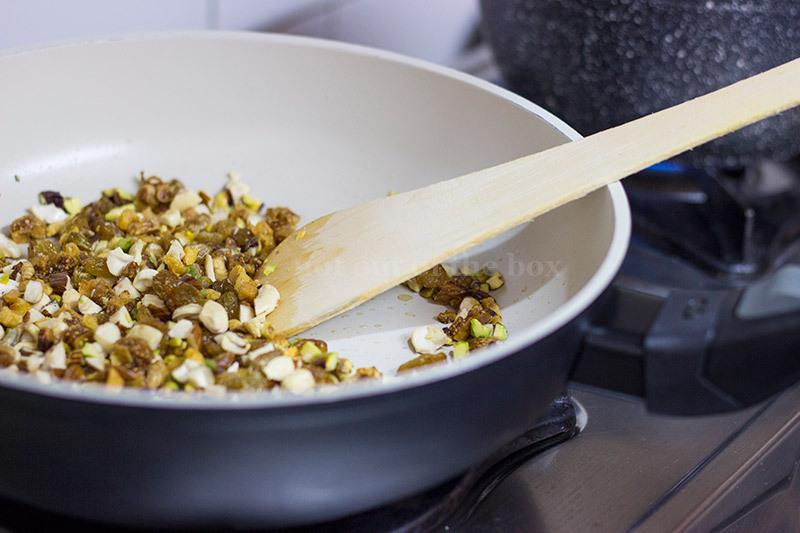 Take a deep bottomed pan/Saucepan (I’ve used my Pietra Lavica Saucepan here). Pour the milk in it. Boil on high flame. Once it boils, reduce the heat and add sugar. Stir well; let the sugar dissolves completely in milk. 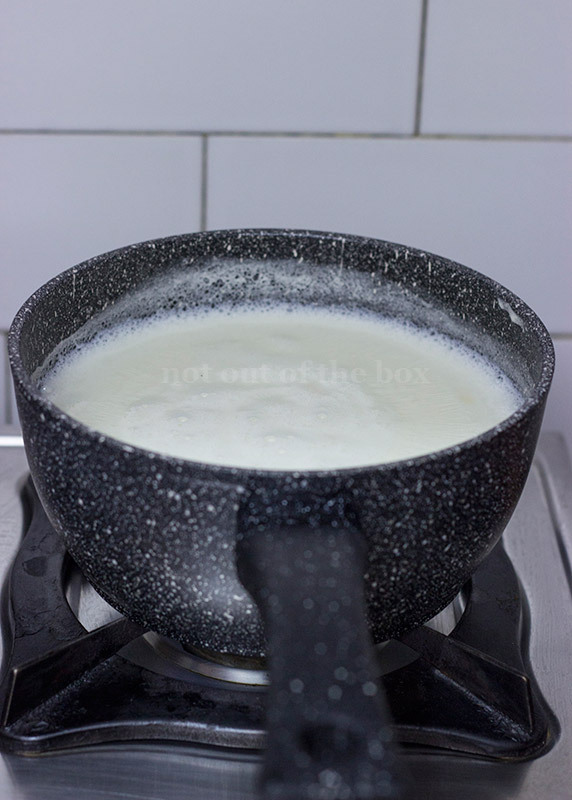 Now cook the milk on low flame for 10-15 minutes. In between heat 1 tbsp ghee in a frying pan (I’ve used my Palladium Ecolux Extra Deep Frypan for this). Add all the nuts, figs and chironji. Mix and fry on medium flame until golden in color. Keep aside. 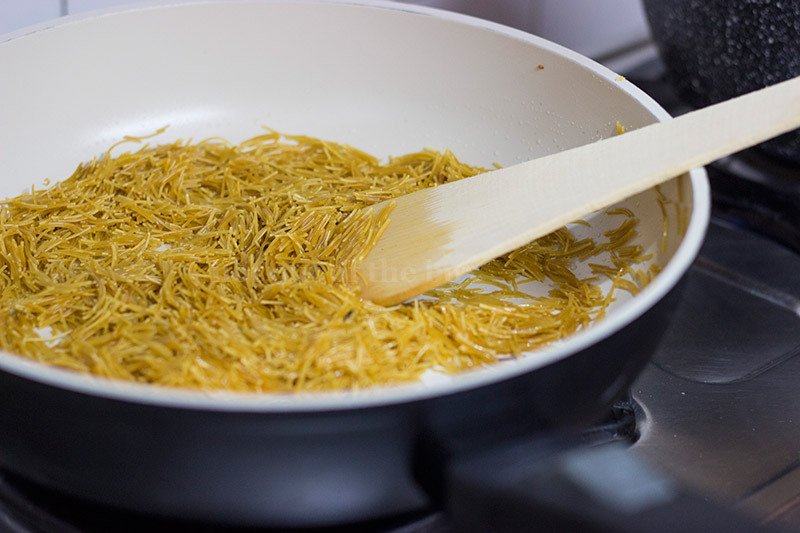 Add 1 tbsp ghee more; now fry the vermicelli on medium flame for 2-3 minutes. Add the fried vermicelli immediately to the milk along with the roasted dry fruits. Next to add the soaked dates, elaichi powder and rose water. Mix well and cook on low flame for 5 minutes. Switch off the flame. 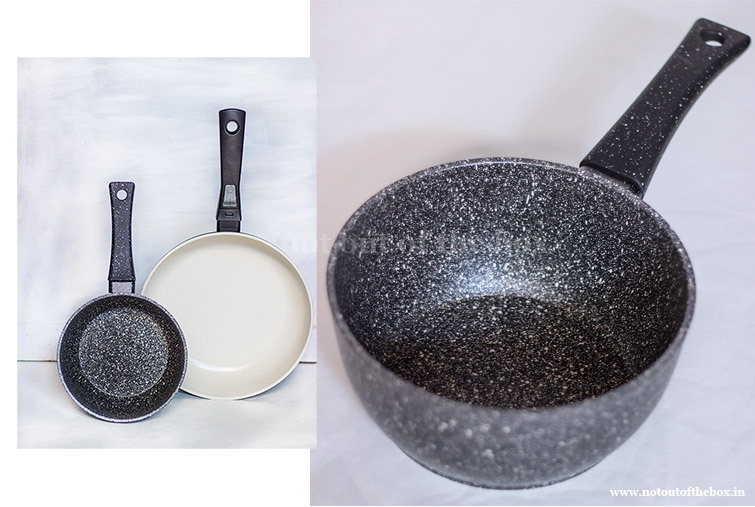 Tidy Homz Cookwares. 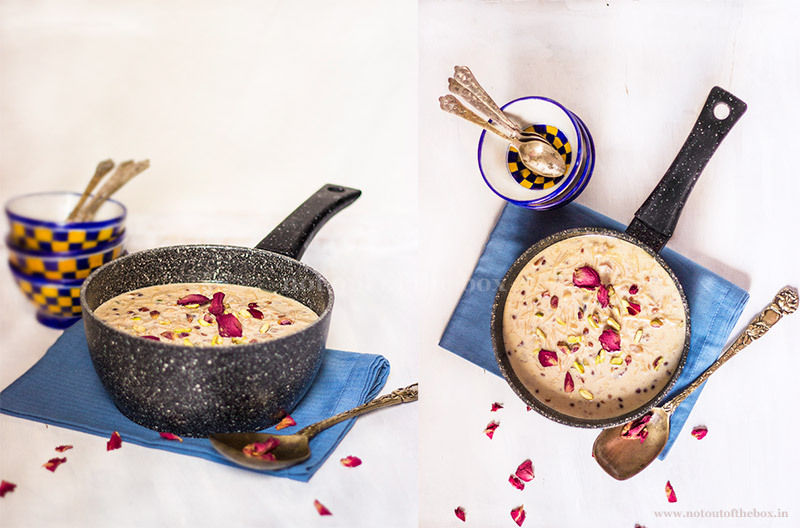 In this recipe I’ve used Pietra Lavica Saucepan to cook ‘Sheer Khurma’. Save nutritional properties of food, reinforced with mineral particles. Good for crispy cooking and fast cooking. Helps in browning. Magma tech coating + mineral coating = Makes sure the coating doesn’t come of even after extensive use.